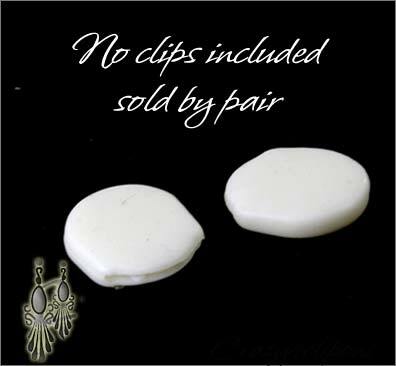 Features: Add a pair of clip-on cushion pads to your non-pierced paddle-back clip earrings to help with comfort. These cushions are recommended for large paddle-back earrings, they work well with vintage type of earrings. Please check measurements below. 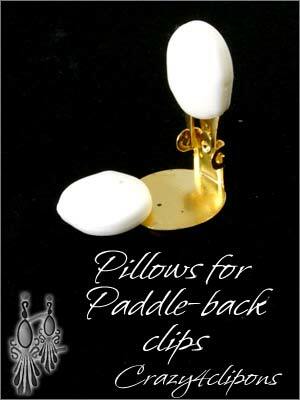 Just slip in the pillow-pads to the back of your paddle-back earrings to prevent discomfort from pinching, aid with metal sensitivity and prevent earring from slippage. Price per pair of cushion. Clip-on findings are not included.